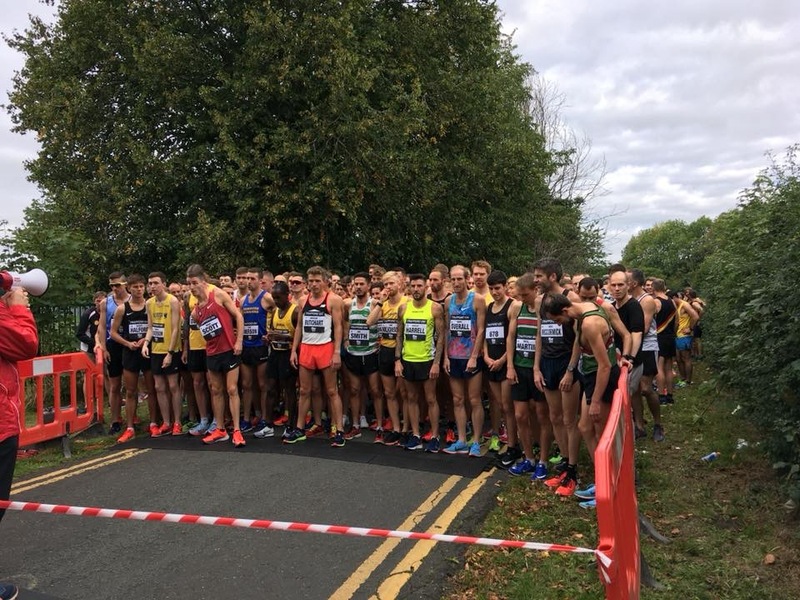 Some great racing at the Trafford 10k on Sunday which incorporated the National 10k Championships which saw Ribble Valley 10k winner – Marc Scott – take the victory in a time of 28.57 from Andrew Butchart (28.28). 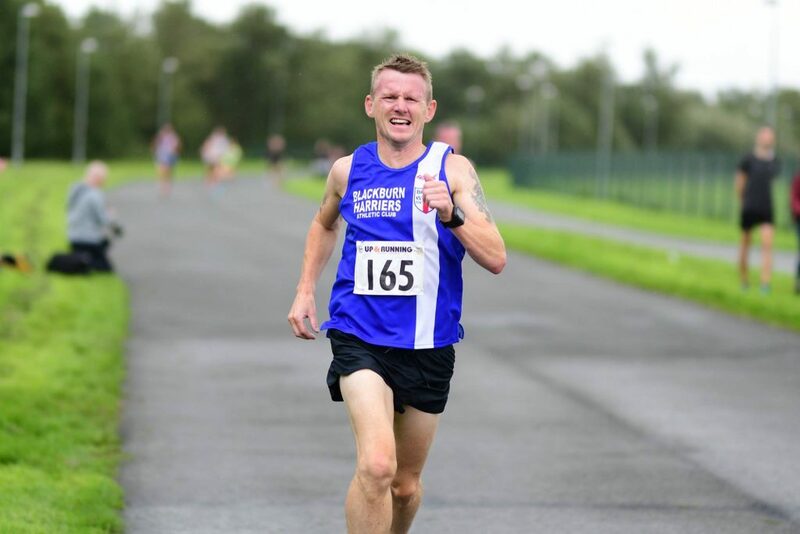 Blackburn Harrier Tom Blaney ran in this Race posting a time of 34.25 in 76th place out of a field of 1000 runners which was a seasons best. 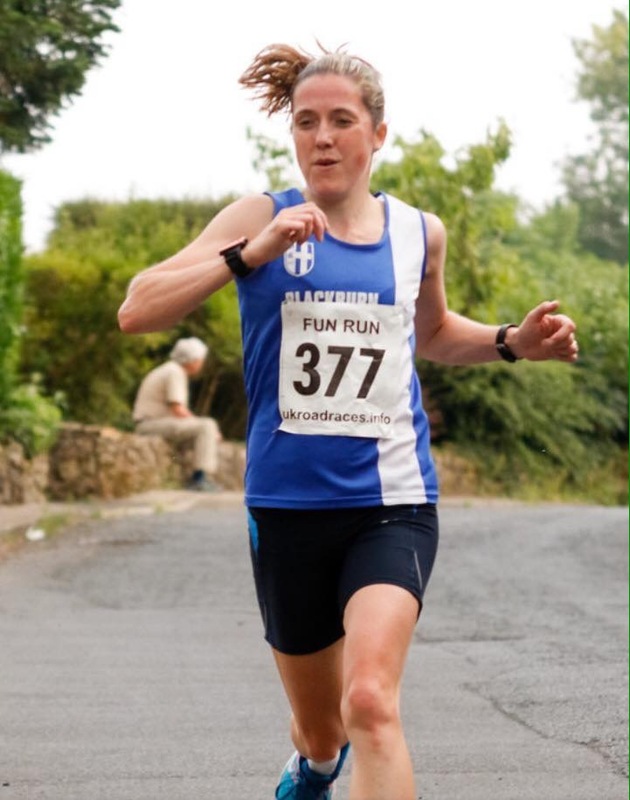 Victoria Mousley ran the Hunter 5k Series this summer consisting of four races in which she was pretty consistent winning the Series overall. Victoria finished 10th, 2nd woman and 1st Vet in the May Race in 19.22; 10th again in the June Race with a time of 19.30, 1st woman and 1st Vet; 13th in the July Race (20.12) – 2nd woman and 1st vet and in the final Race on August 28th she wrapped up the Series placing 12th overall, 2nd woman and 1st Vet in a time of 19.48. 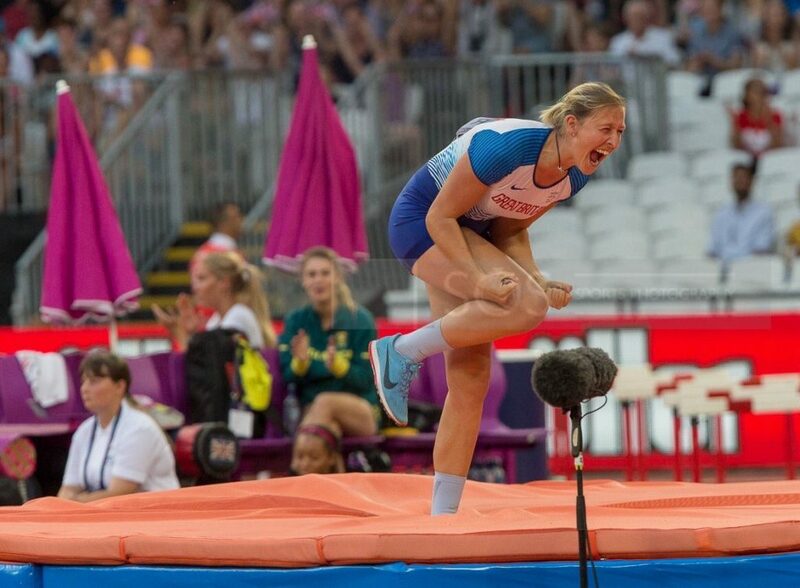 Holly Bradshaw competed at her penultimate meeting of the season at the Diamond League Fixture held in Zurich last week where she finished in 4th spot clearing 4.57m. 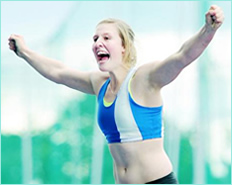 Among the highlights of the season for Holly was her Bronze Medal jump of 4.75m in the European Championships, her win for GB in the Athletics World Cup in the Olympic Stadium and her 3rd place finish in Jockrim where she cleared 4.80m. 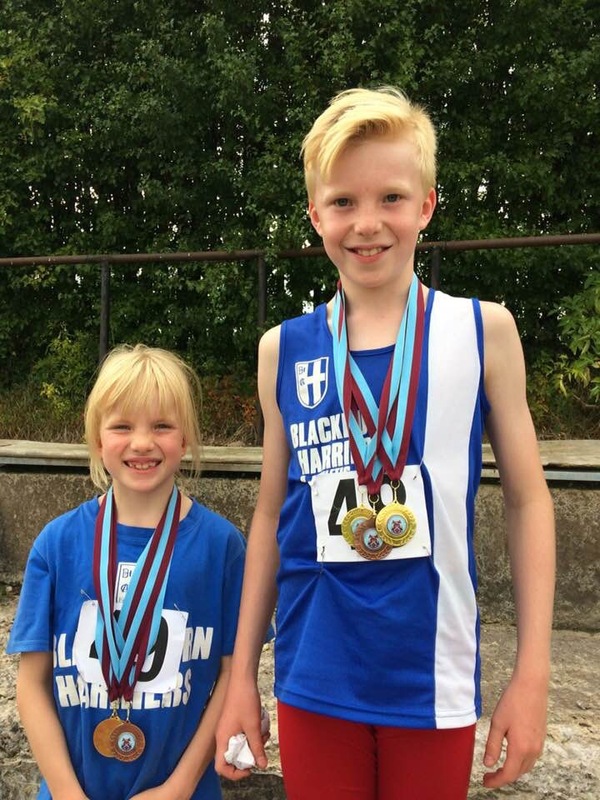 This is a popular local meeting held annually which gives youngsters from U8’s through to U11’s a chance to compete against one another in a number of Track and Field Events and this one featured quite a few Blackburn Harriers. 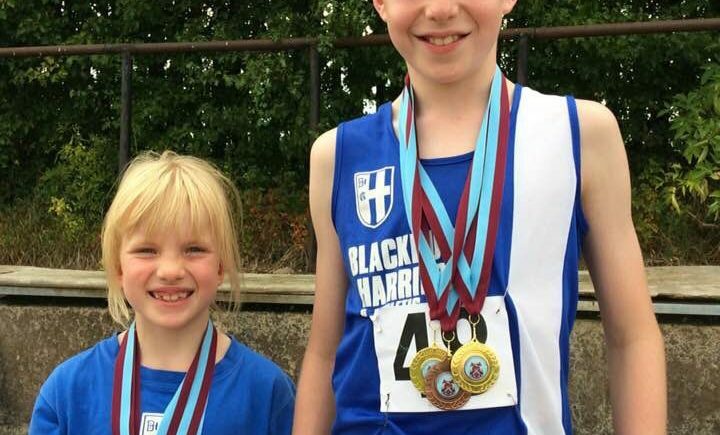 Junior Endurance Coach – Lorna Sharp – commented “I just wanted to say well done to all the kids who competed today in the Burnley U11 meet. 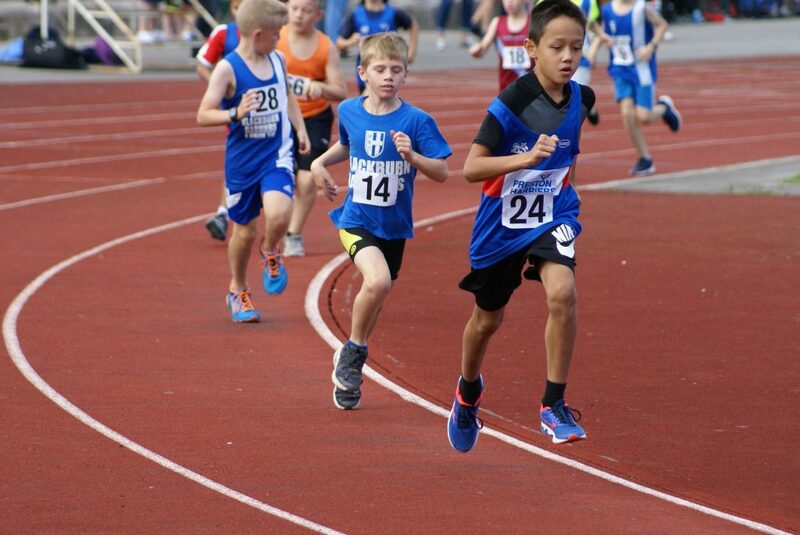 This was a great opportunity for the U11’s to get a chance to compete in a local event and for some of them their first competition, the nerves were quickly subsided, lots of medals were won and lots of smiles which is always good see the kids having fun whilst competing”. 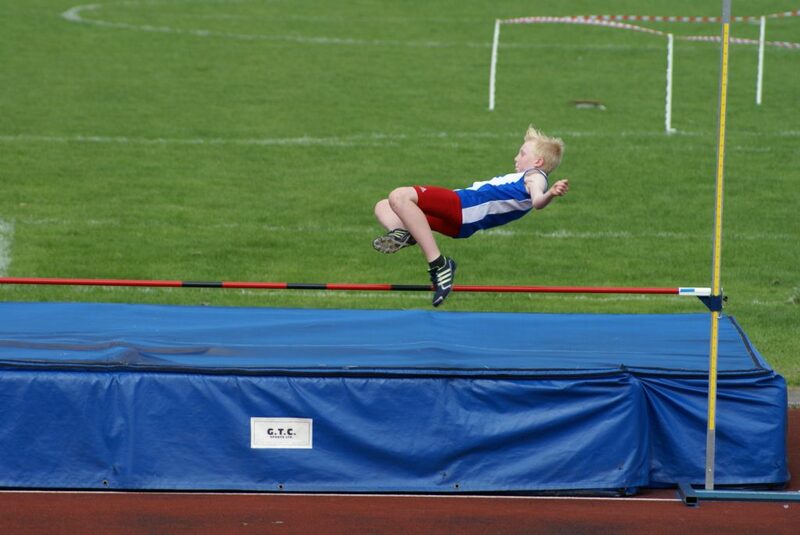 One of the stand out performances of the day was that of U11 Matthew Smith who set a new meeting record of 1.41m in winning the high jump and then set a new record time for the 600m – winning the race in a time of 1.51.3 and some two seconds clear of the 2nd placed runner. 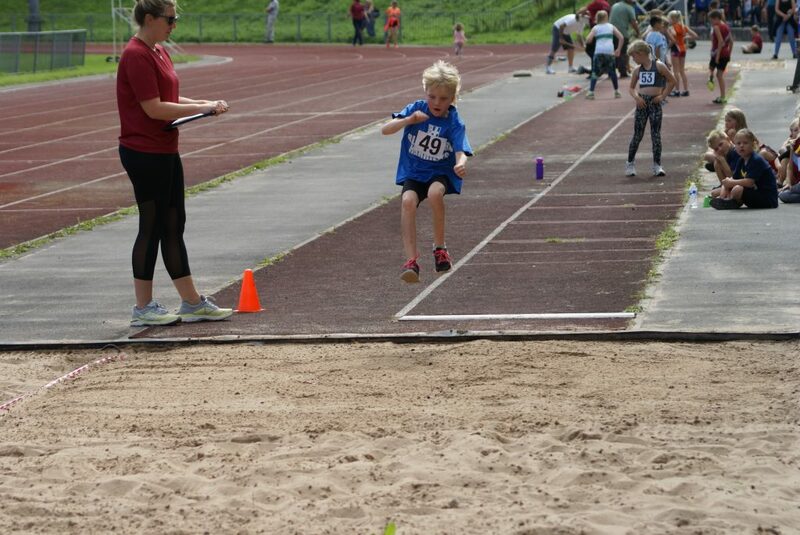 He wasn’t that far off a hat-trick of wins either as he leapt out to 3.82m in the Long Jump to take 3rd place. 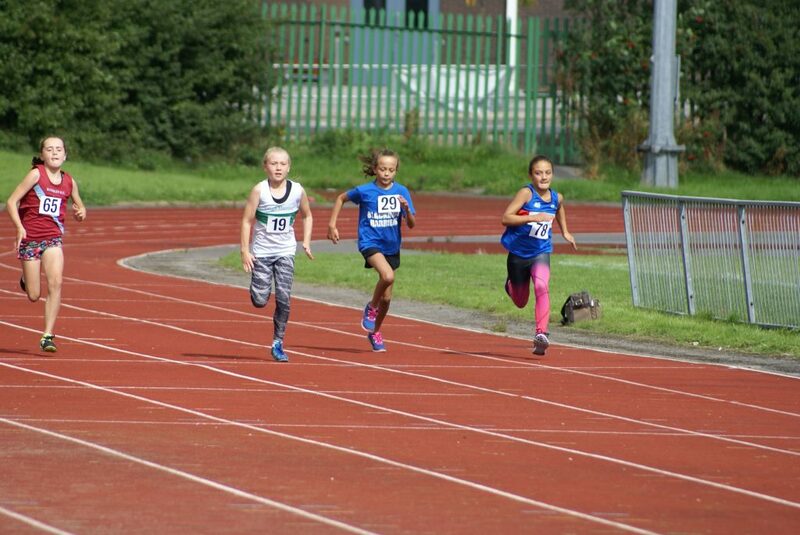 Sister Charlotte Smith got into the winning act too as she came 1st in the U8’s 50m in 9.0sec, came 3rd in the 150m (28.5) and won the Long Jump with a leap of 2.55m – and she is only 7yrs old! 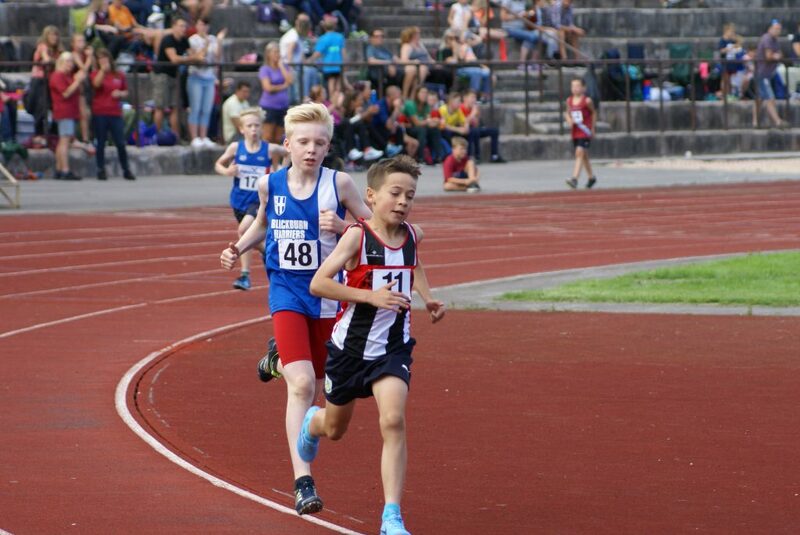 Quite a few of the youngsters were competing for the first time which was the case for U9 Liam Bennison who finished 3rd in the 50m (9.8), 3rd again in the 150m in 29.4 and 4th in the Long Jump with a distance of 2.31m. 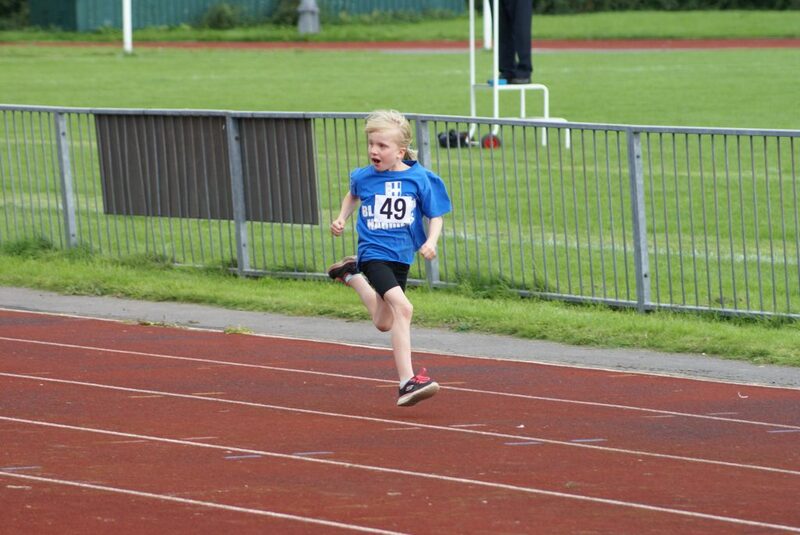 U9 Lulu Sharp ran 31.0 for the 150m, came 2nd in the Cricket Ball (14.15m) and 5th in the Long Jump with a leap of 2.28m. 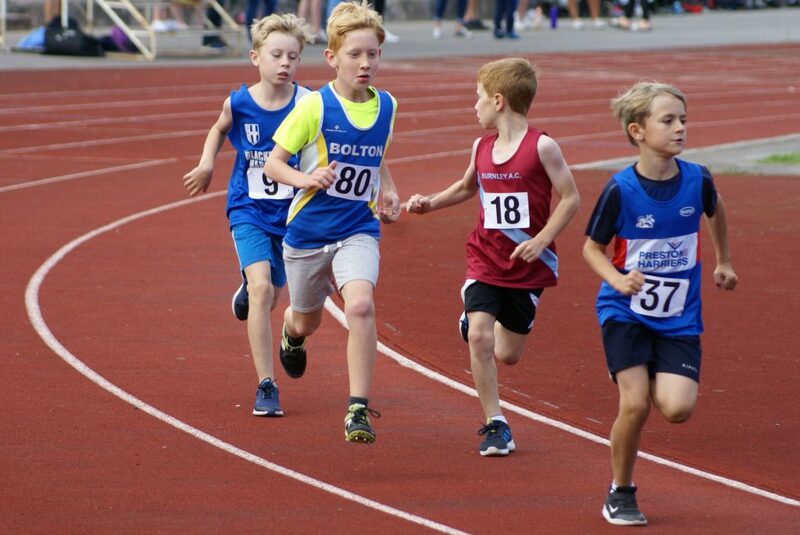 Alexander Brien (8th) and Felix Thompson (10th) ran the U10 Boys 75m clocking 13.0 and 13.2 respectively which Felix followed up with a 2.12.2 600m placing 4th overall with Alexander in 10th spot (2.26.9). 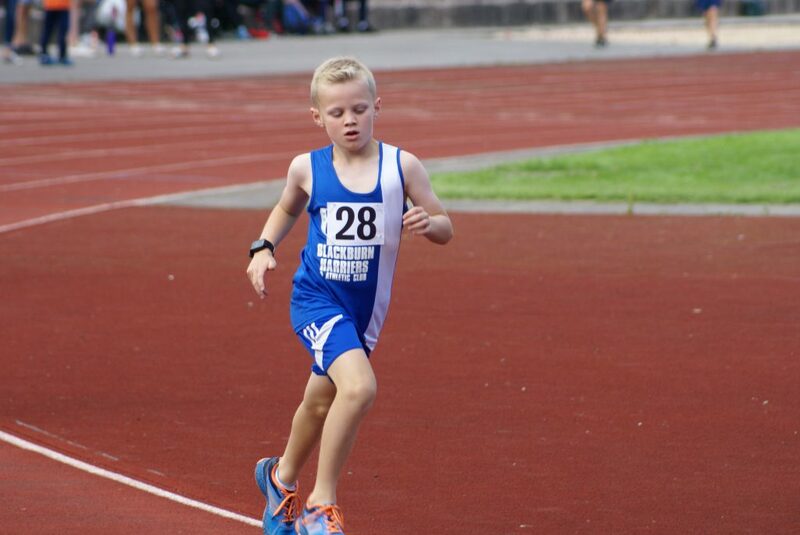 U10 Loucas Lancashire also contested the 600m in this race coming home in 5th position in a time of 2.16.7 and then finished with a jump of 2.72m for 7th place in the Long Jump. On to the Cricket Ball which saw Loucas take 3rd spot throwing a distance of 28.25m as Felix placed 5th in the same competition with a throw of 26.72m. 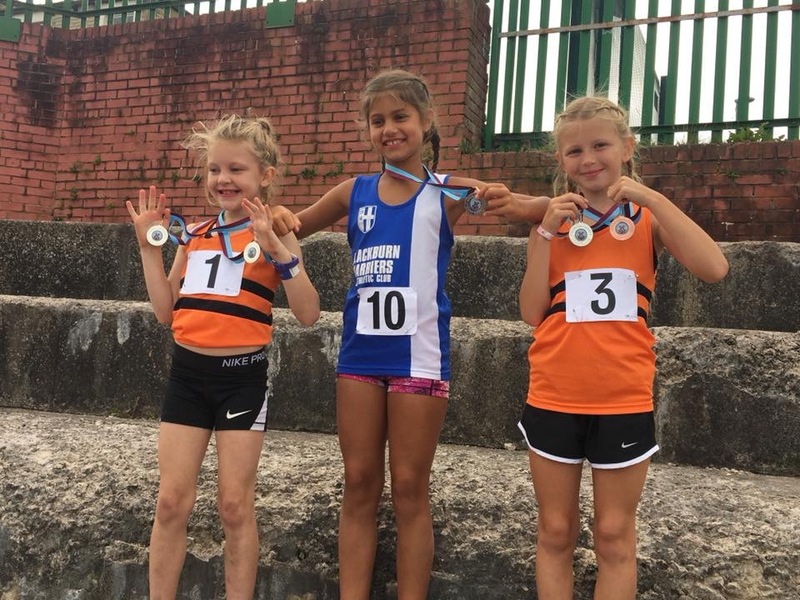 In the U10 Girls Hannah Davies had a good day too as she won the 600m in 2.05.8 and then took 2nd spot in the Long Jump with 3.12m. 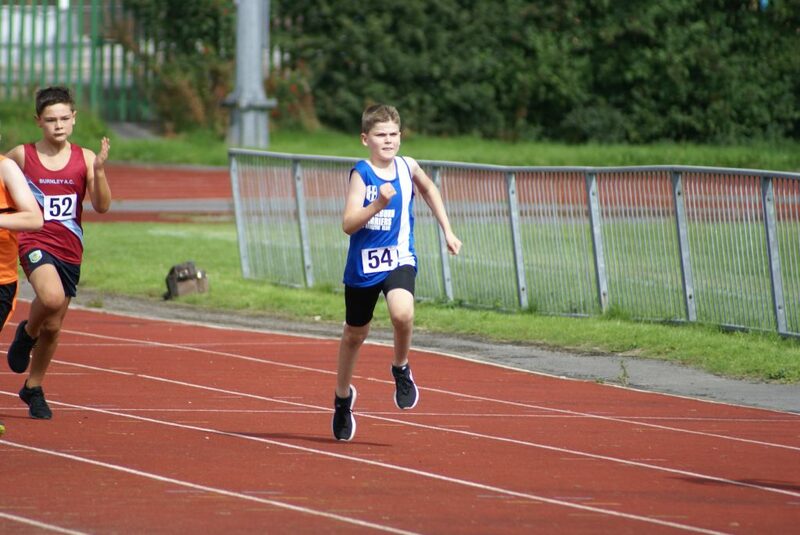 U11 Isaac Smith ran a time of 12.9 in the 75m (7th) before clocking a time of 2.31.8 in the 600m for 7th position and 7th spot in the Cricket Ball (23.28m). 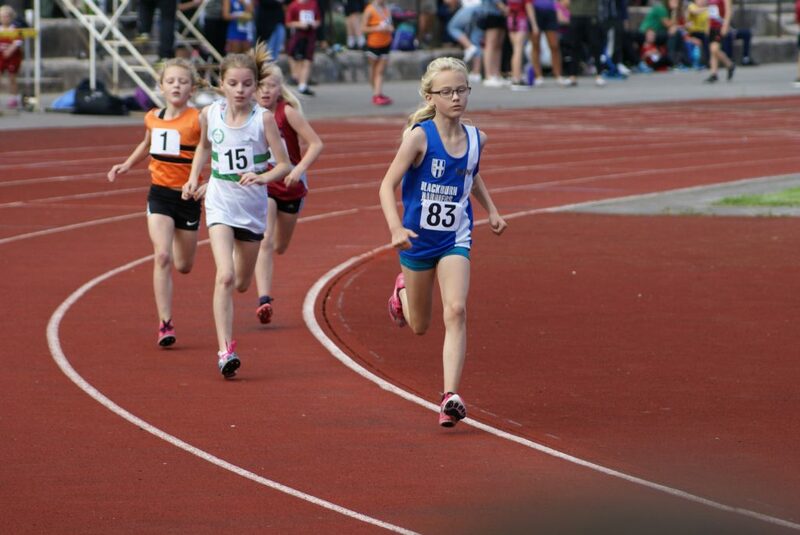 U11 Lydia Houghton was one of 15 runners in the 75m as she finished equal 12th with a time of 13.6 and going on to throw 3.86m in the Shot Putt. 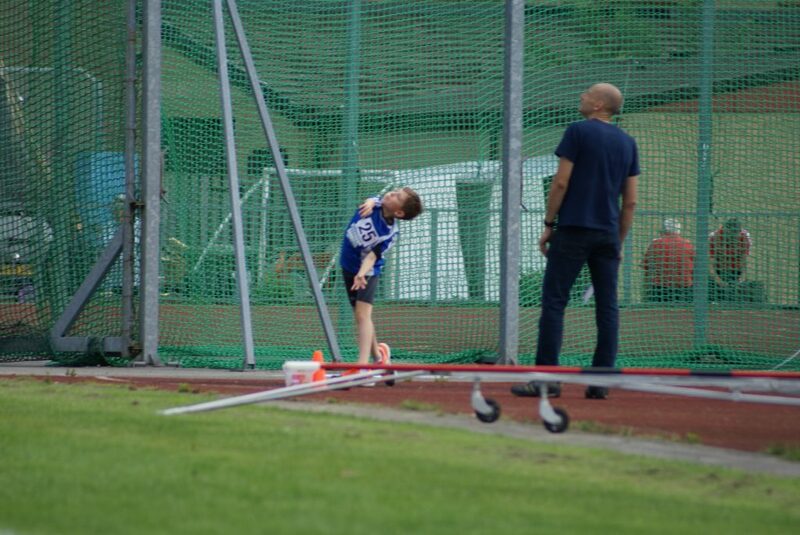 U11 Findlay Carroll took to the Cricket Ball competition in style, winning it with a throw of 30.74m and finished his day with a leap of 3.01m in the Long Jump. 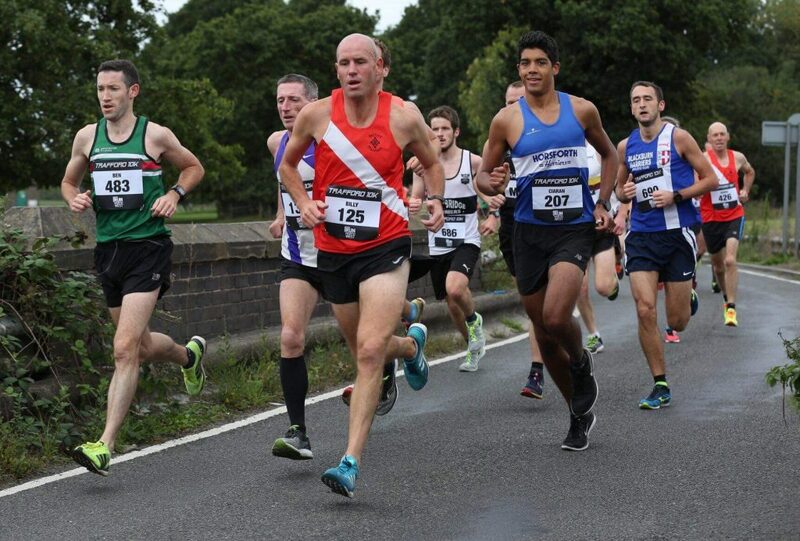 V50 Jonathan Bridge had a pretty good day in this race clocking 2hr 17.39 in this 20 mile race to come home in 6th spot overall with V45 Derek Reilly another four places further back in 10th spot running a time of 2hr 23.51. 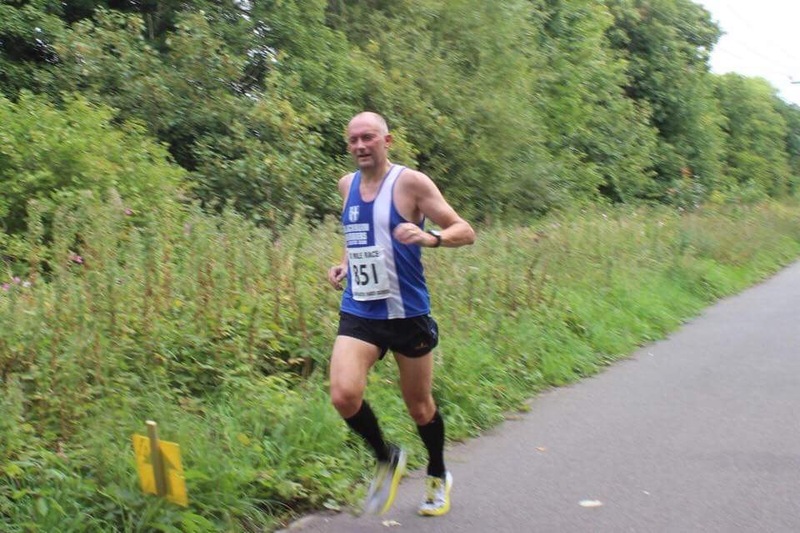 Just down the road from Lancaster, V45 Paul Brindle ran the Garstang Half and finished in 4th place and 2nd V45 in a time of 86.43. Myah Booth currently lies in 10th place in the National Rankings for 75m Hurdles with a time of 11.34 clocked at the English Schools Championships this year. 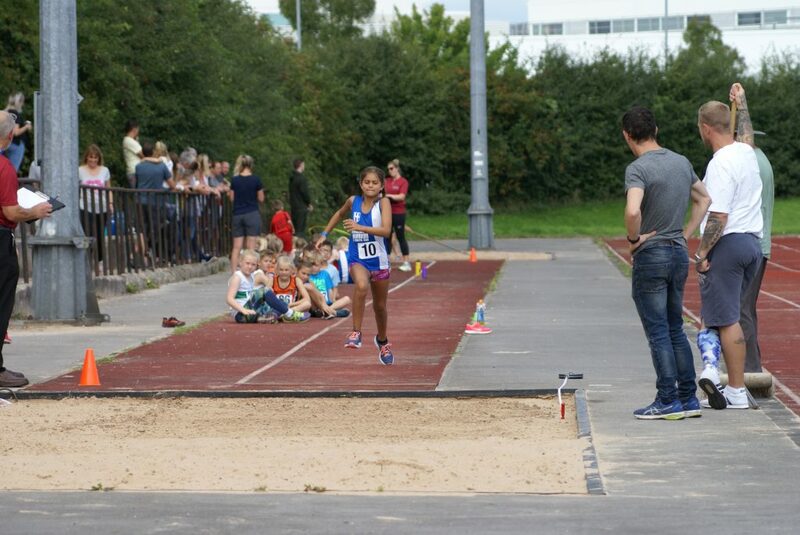 Next year she moves up to U17’s and decided to tackle that distance – 80m Hurdles – for the first ever time at the Open Meeting over the weekend and didn’t too badly at all, winning her event in a time of 12.7. 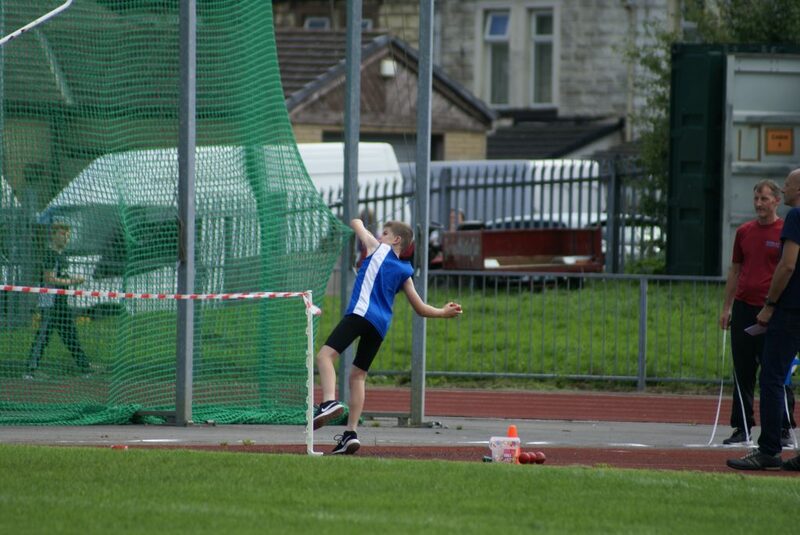 Also competing on the day for the Harriers was U15 Matt Heywood who placed 5th in the Shot Putt with 8.57m and 4th in the Javelin with a throw of 24.88m. Dexta Thompson had a run out at this latest in the Bofra Series contesting the U14 Race which featured Boys and Girls running together. Dexta finished 5th in the Boys Race with a time of 8.12.